There has never been a more precise title. 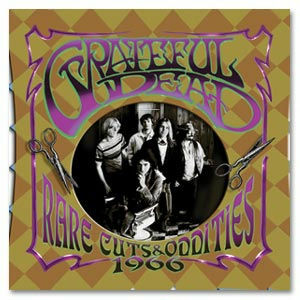 Rare and odd, indeed - there will never be another Grateful Dead CD with 18 full cuts. Three-minute songs - remarkable! This is the '66 Dead, largely dominated by Pigpen's Farfisa organ, harp, and vocals. It's a long, long way to "Dark Star" thunder and lightning. These earliest indications of what this band would grow into make a fascinating album of early days musical snapshots, collected from various rehearsals and studio sessions (the first 10 songs) and live shows (the last eight songs).